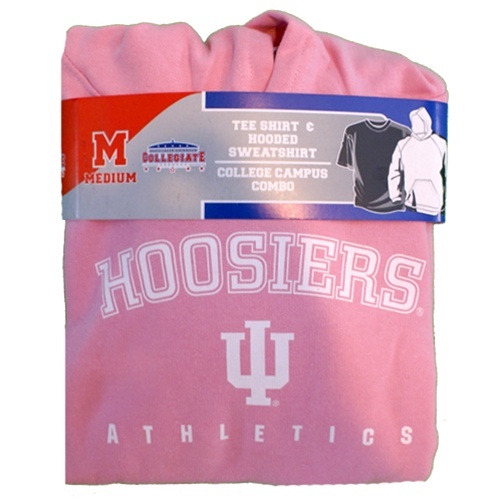 This great value "pack" includes a white tee with "INDIANA Hoosiers" screened on the front and a hooded pink sweatshirt with "HOOSIERS ATHLETICS" on it. 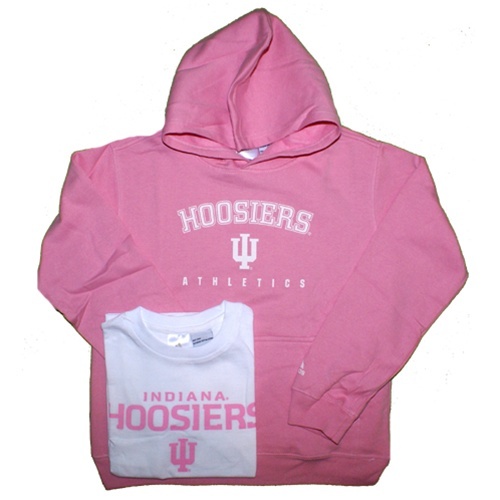 Each are youth sizes. The tee is 100% cotton and the hoodie is 80/20. They come with a cardboard band around them folded up. Really a great price for the two! 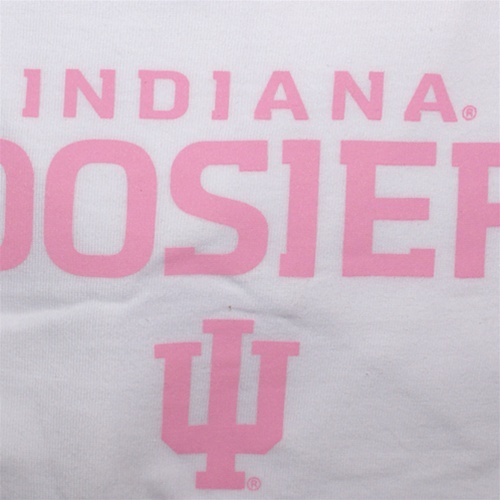 The sizes run slightly smaller so the youth large is like a youth medium and the XL is more like a youth large.